BREATHE is the new single from Leeds based Psyche-Grunge trio BROODERS, released on 16 November. BREATHE speaks of the realities that people face in everyday life and through all walks of life. The ambiguous and bitter-tasting imagery works as a call and response between the twisted mindset of being trampled by life whilst hearing in the other ear how accessible and achievable the dreams and desires of the world are to us all. BREATHE paints a vivid picture detailing how encounters and experiences like this can be draining on your health, mind, body and general wellbeing. When it all gets too much, the best thing is just to take a step back, find your feet and … breathe. 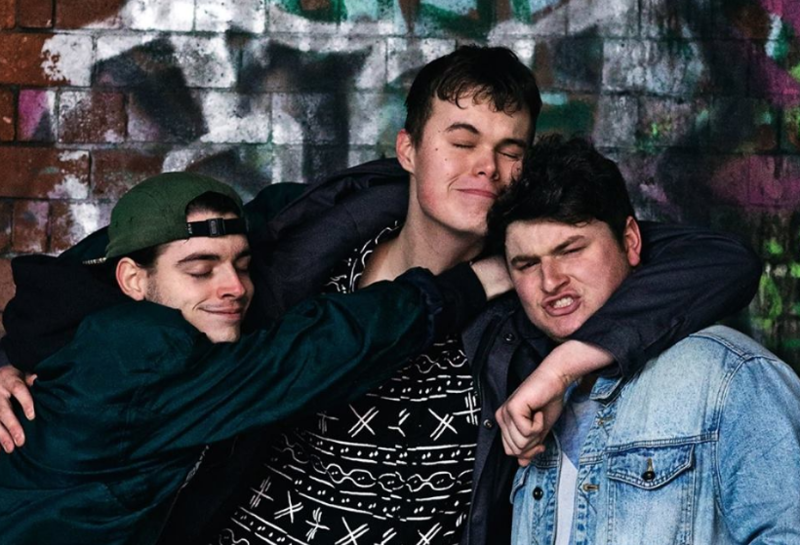 Since the release of their debut self-titled mini LP last year, BROODERS have released four further singles and played a number of UK festivals including Tramlines and Dot to Dot. In that time, the band have been championed by the likes of BBC Radio Introducing West Yorkshire and Sheffield, Amazing Radio and Sine Radio in their quest to deliver their sonic whiplash far and wide, whilst gaining an outstanding live reputation and notoriety for the sinister, the visually spectacular and the surreal.